For digital thermometer and 1-wire adapter DS9097 with DS18B20 digital probe attached. Lines started with $ or C:\> indicate start of commands that have to be typed in. 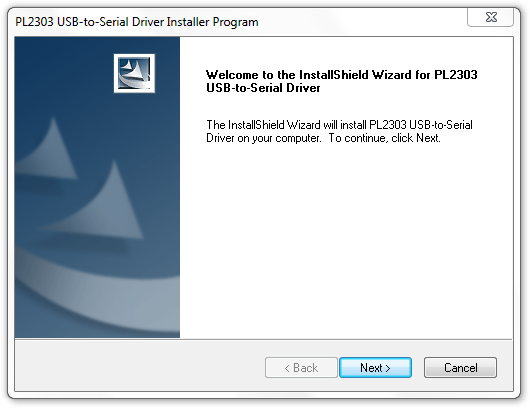 Driver for PL-2303TA serial interface is already included in mainline Linux Kernel. In most cases, after pluging the USB device into USB port, the system will automatically load a driver. usb: Manufacturer: Prolific Technology Inc. Right at the end of dmesg output you should see something like the 7 lines above. 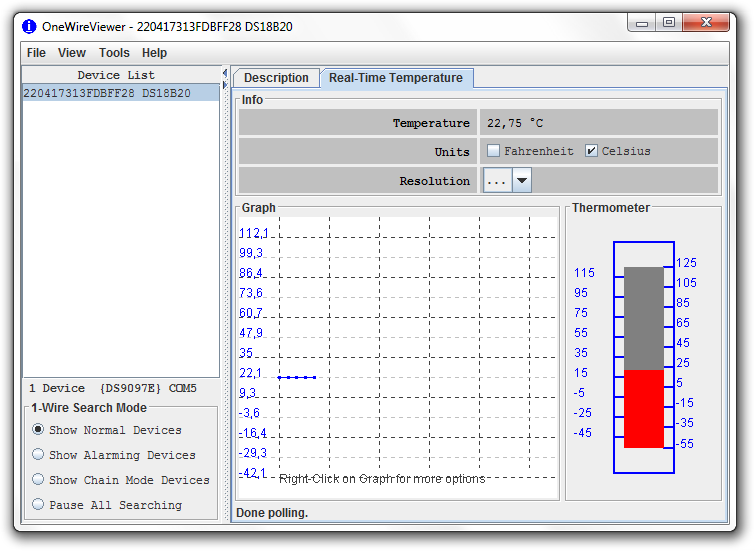 This means that the thermometer has been recognised by the pl2303 driver. You can check whether driver has been loaded if the last two lines appear. If the driver is not included into kernel, it has to be selected and then, depending on your system, the kernel recompiled or the module compiled. On the configuration menu of OpenWrt the following modules have to be selected. It is assumed that /dev/ttyUSB0 is the USB device. Initialization is only needed for the first time. If you want to save configuration to a different file, use -c switch. For installation see Maxim's application note 5917. Install package digtemp: opkg install digitemp. If the package is not available follow manual at openwrt-packages-digitemp. Usage is similar to that one for Debian. The following pictures are based on Windows 7. The same procedure applies for recent versions of Windows. In some cases Windows automatically detects USB serial interface. If it does not, a manual installation of drivers is needed. 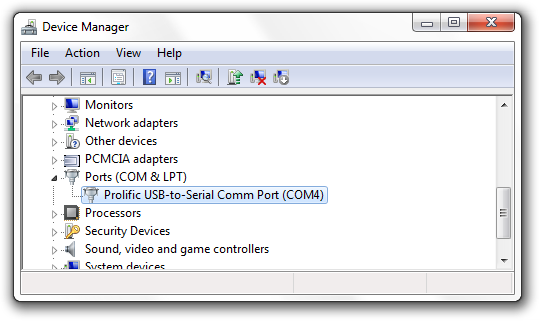 After installation open Device Manager and under Ports (COM & LPT) read name of new serial port. In next example, the serial port has name COM4 and number 4. In following examples it is assumed that the device appeared under COM4 serial port. Download digitemp.exe and open command prompt cmd. 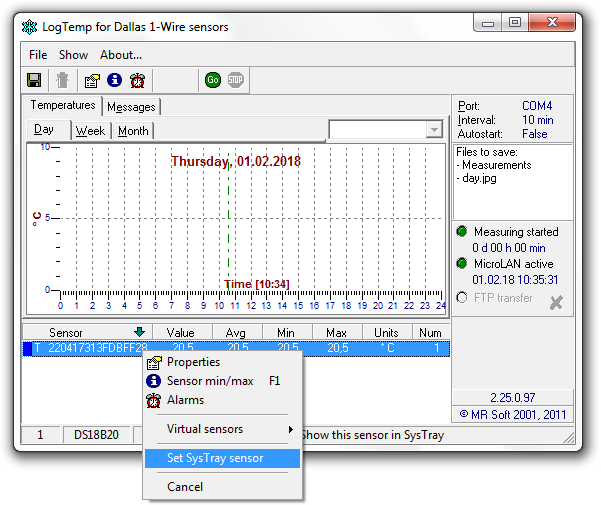 Navigate prompt to a directory where digitemp executable is located. Initialization is only needed for the first time. Number after -s flag represents serial port number. 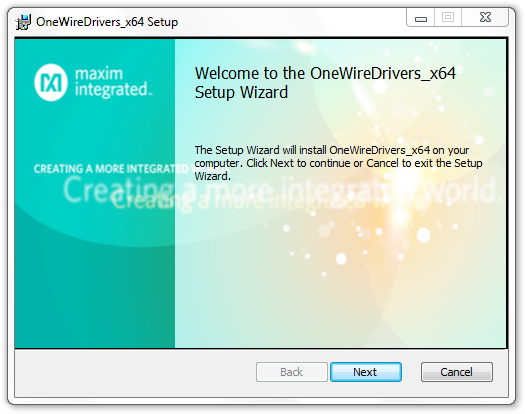 This application uses drivers from Maxim, so these must be installed first. 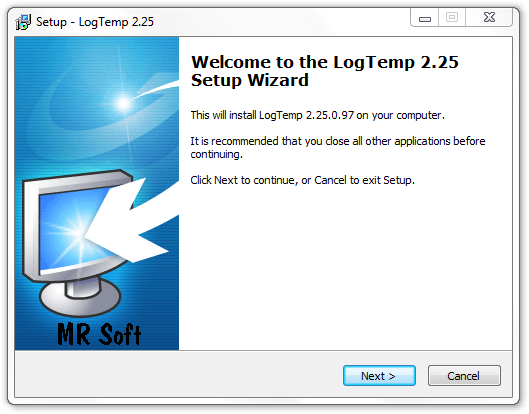 Continue with installation of LogTemp. 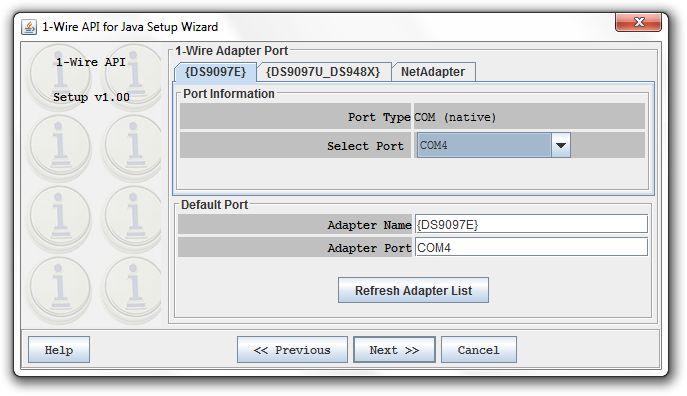 In the configuration set Adapter to DS9097E and Port COM to match your serial port name. To start taking measurments click Go on toolbar. This application requires Java RTE to be installed on the system. Extract two files: OneWireViewer.jar and OneWireAPI.jar to a folder. Then navigate Windows Command Line to folder and execute. 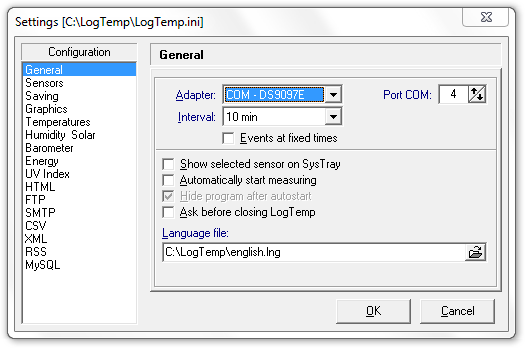 In the setup window make sure DS9097E tab is selected and set Select Port to match your serial port name. After two more click to Next, a new window appears where 1-wires are given on left pane.